eXaro - это свободный генератор отчетов подобно Jasper или Crystal. eXaro очень просто втраивается в любое приложение написанное с помощью кроссплатформенного тулкита Qt. Имеет встроенный графический дизайнер отчетов, предпросмотр сгенерированных отчетов, поиск по содержимому отчета.Позволяет экспортировать отчеты в несколько различных форматов. As part of the OpenMFG ERP Suite (and the PostBooks open source version), which is built with the PostgreSQL database and the Qt GUI client framework, xTuple built its own SQL report writer from scratch. 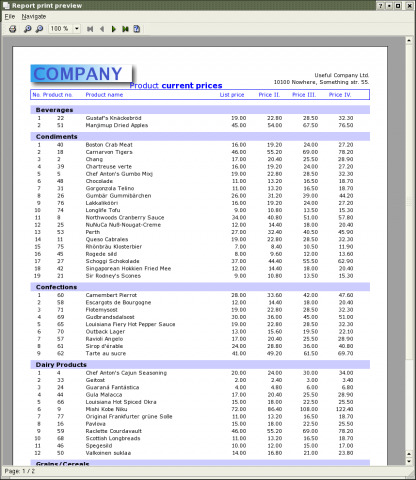 Like the ERP, it runs equally well on Windows, Linux, and Mac OS X. We call it OpenRPT. 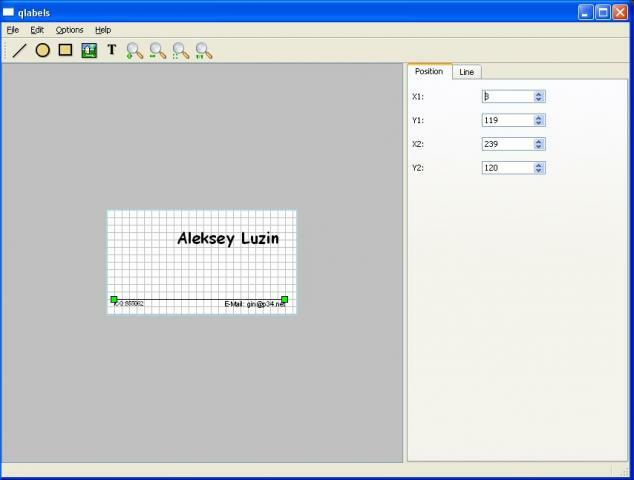 qLabels is a business card, labels and media covers creation and printing software. It works both under Windows and linux. I've come up with a utility class that may be useful to some of you. 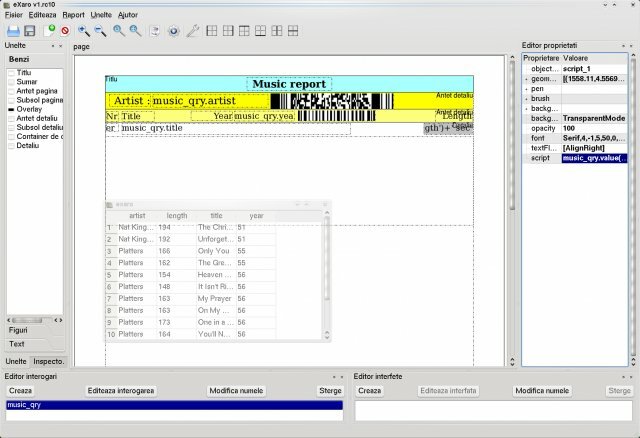 It is not a report tool, but a utility to make printing easier. 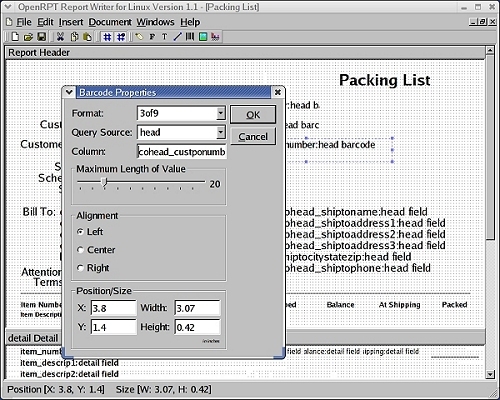 You can define headers and footers, and print, export to PDF or display a print preview. A quick example and documentation is included. NCReport is a lightweight, fast, multi-platform and easy to use open source SQL report generator written in C++ based on Qt toolkit. Report definition uses XML format - stored as file or in sql database. 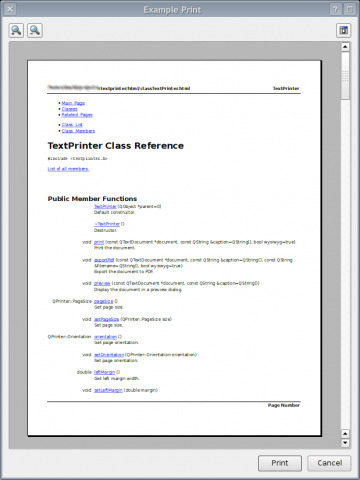 Generated document is ready to print or (fast) preview.